All of us have been on a day trip to somewhere nice in the past. Days off to the beach, a market, castle, festival or fairground lives long in the memory – but how many can say that a day trip has encompassed riding camels in the sandy deserts, quad biking across the sandy dunes or a dinner fantasia show that offers great local cuisine with top class entertainment? Morocco offers all of this and then some. Day trips take place from a hotel base in Marrakech and you can be whisked off to the day trip of your life and back within a single day. 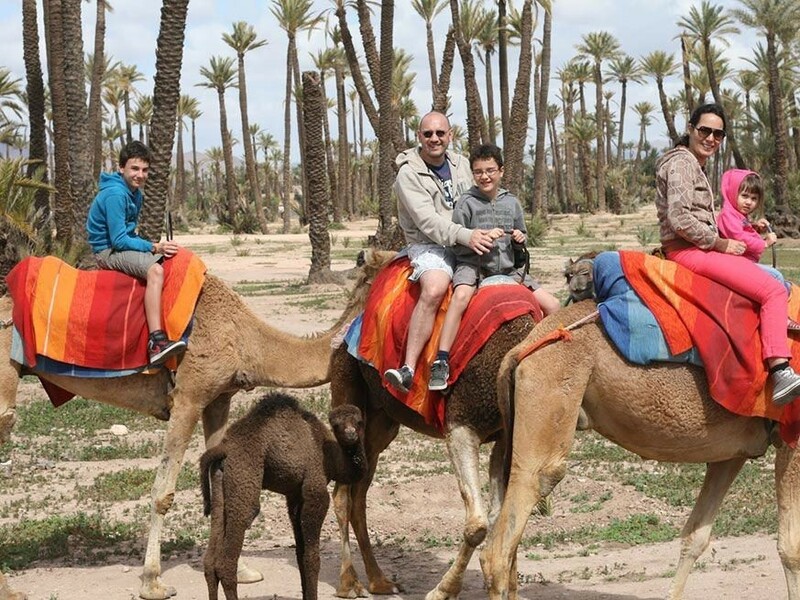 Among one of the more exciting but slow-paced day trips on the Marrakech desert tours itinerary is the Marrakech camel ride in Palmerai. It is a half-day escape from the urban environment of Marrakech. The Palmerai is a beautiful and scenic plain where ancient palm groves and well-manicured paths offer a camel ride to never forget. One can even stop off for some tea and a chance to chat with the local villagers in a truly Berber-style setting. The ride itself is gentle and has a rhythmic sway. All camel ride day trips are well guided by expert handlers who will make you feel safe and sound once you mount. Day trips don’t get to become much more fun than this. A quad bike in Marrakech Palmerai is definitely something you will not forget in a hurry. The experience allows you feel the raw power of the quad beast, feel every pot hole, whizz over every sandy stretch and gaze at the marvel of the palm groves. The experience of the warm wind against your face as you accelerate through this wonderful paradise is something to behold for sure. There is a 20-minute safety brief that all riders should be aware of before the fun begins. This is essential to teach riders the respect of a powerful vehicle. There are many Berber villages along the route and a chance to meet some of the locals and sample local tea and conversation before you hop back on the bike. A crash helmet, sand goggles and insurance is often included in the package price for your day trips from Marrakech on a quad bike, so you can relax and enjoy the thrill. Few nights out will be like the dinner fantasia show at chez Ali. It is a day trip from Marrakech, where you can be picked up and escorted to the event before being taken home and back to the hotel in Marrakech after the fantasia and excitement has ended. Dining takes place underneath a tent, where soup and bread is served to guests that can mingle with others easily in the open-plan surroundings of this al fresco eating experience. A huge tray of succulent lamb will arrive and with chicken, couscous, vegetables and traditional Moroccan spices aplenty, it is a night to remember. The evening is topped off with magical entertainment and horse-riding tricksters. The dining experience will culminate into a magical show as a climax to a great evening out.